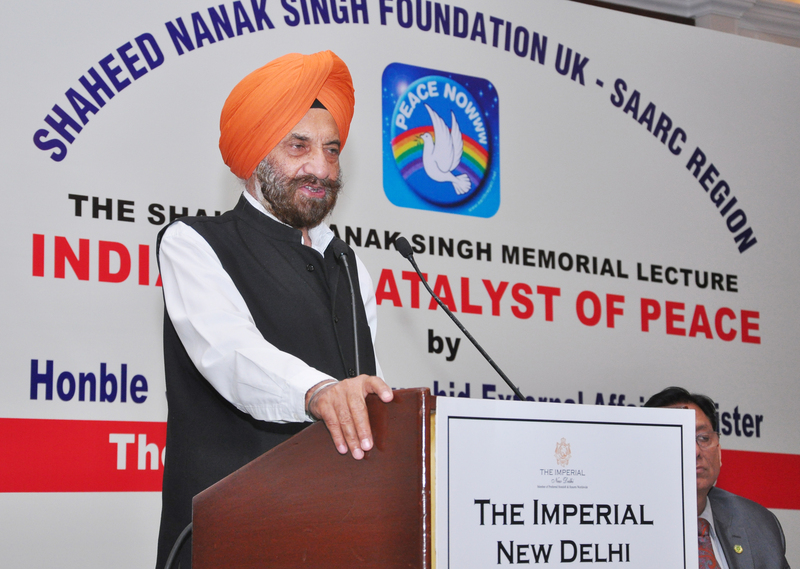 Press Release of the 6th Shaheed Nanak Singh Memorial Lecture at Punjabi University, Patiala. 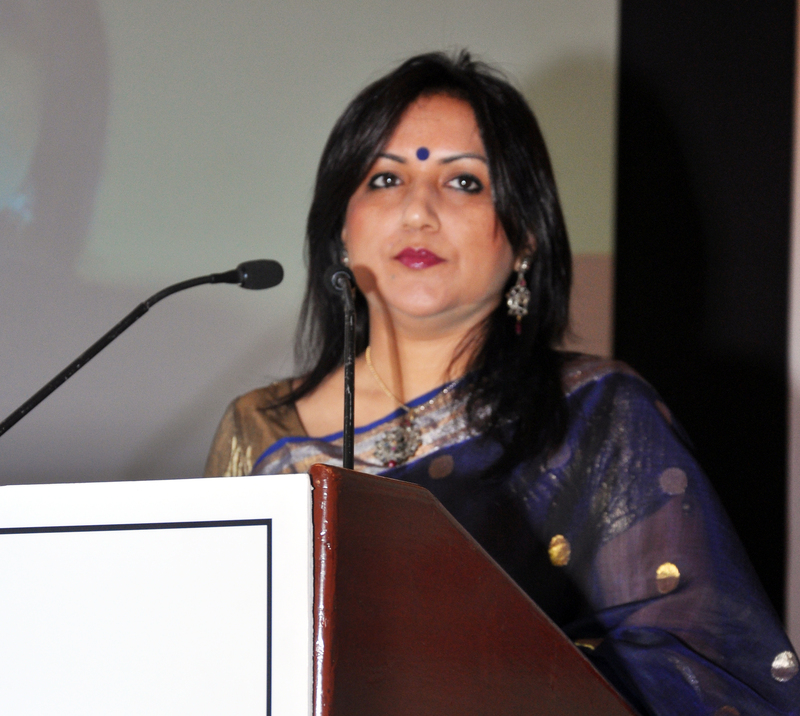 “India’s unity and diversity are like the colours of a rainbow. If one were removed, its charm and beauty would be diminished". - Shaheed Nanak Singh. The 6th Shaheed Nanak Singh Memorial Lecture was delivered by Hon. 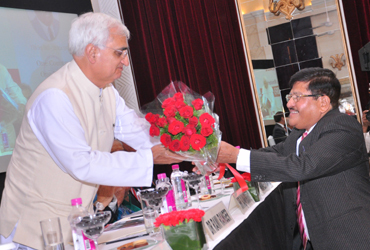 Shri Salman Khurshid Ji, Minister for External Affairs Govt. 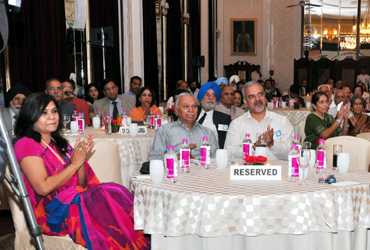 of India, on 24th April at The Imperial Hotel, New Delhi, India. 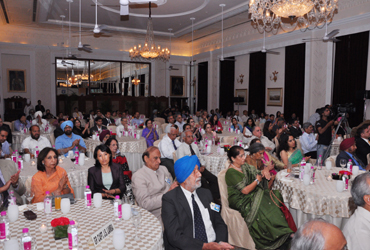 This year’s lecture was attended by over 200 elite guests including H.E. 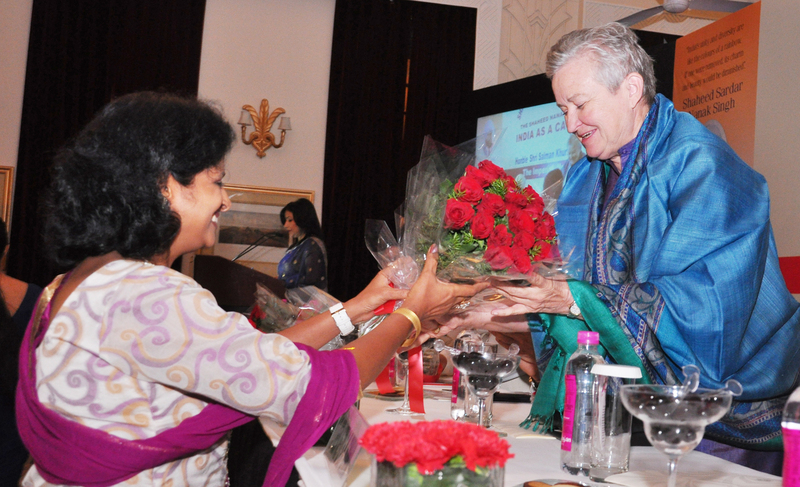 Ms. Nancy J Powell, US Ambassador to India, H.E. 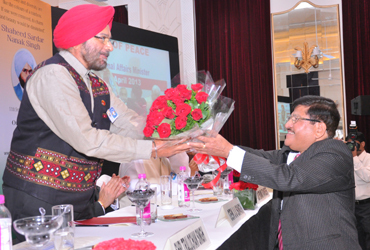 Gen JJ Singh, Governor of Arunachal Pradesh, H.E. Laimonas Talat-Kelpsa, Ambassador of Lithuania, H.E. Borislav Kostov, Ambassador of Bulgaria, H.E. Daniele Mancini, Ambassador of Italy, H.E. Prof. Piotr Klodkowski, Ambassador of Poland, H.E. 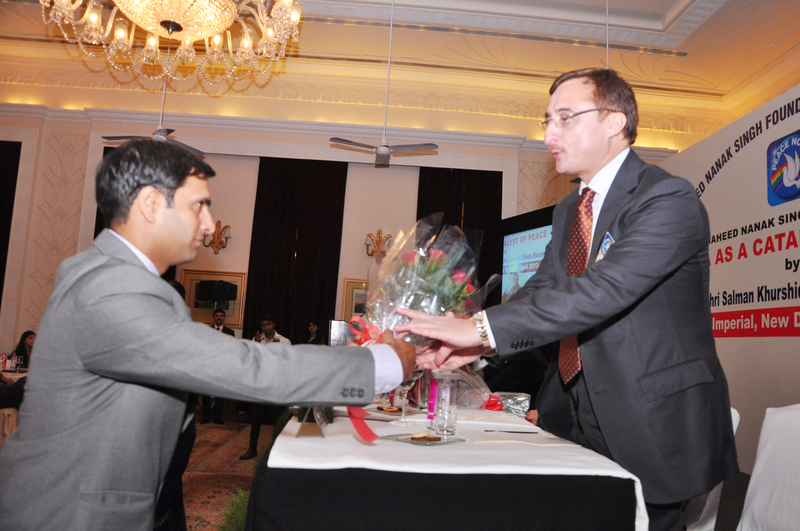 Piotr Opalinski, Minister Counsellor, Deputy Head of Mission, Poland, H.E. 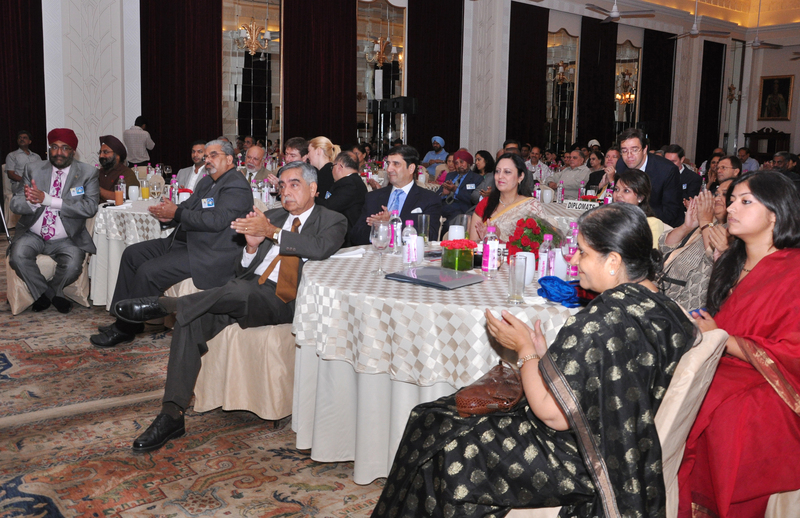 Raimund Magis, Ambassador for Austria, H.E. 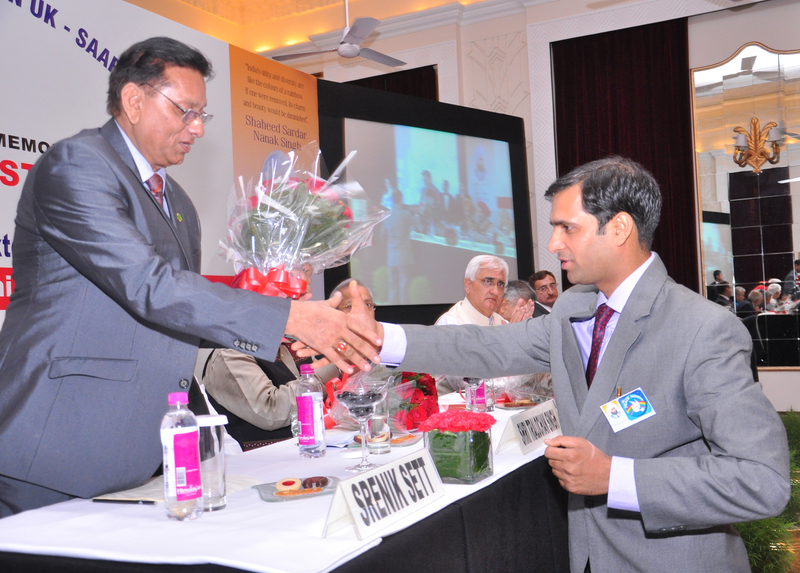 Mark Reynhardt, Counsellor for South African High Commission, H.E. Tariq A Karim, High Commissioner of Bangladesh, the representatives from Belgium and Honorary Consuls of Samoa and Moldova. 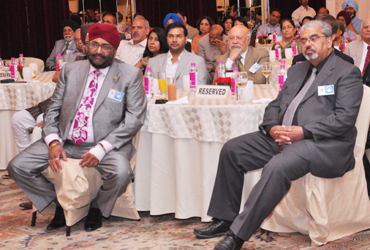 Also attending were Ambassador Rajesh Prasad, Ambassador Shri Nalin Suri, former Indian High Commissioner to the UK, Shri. 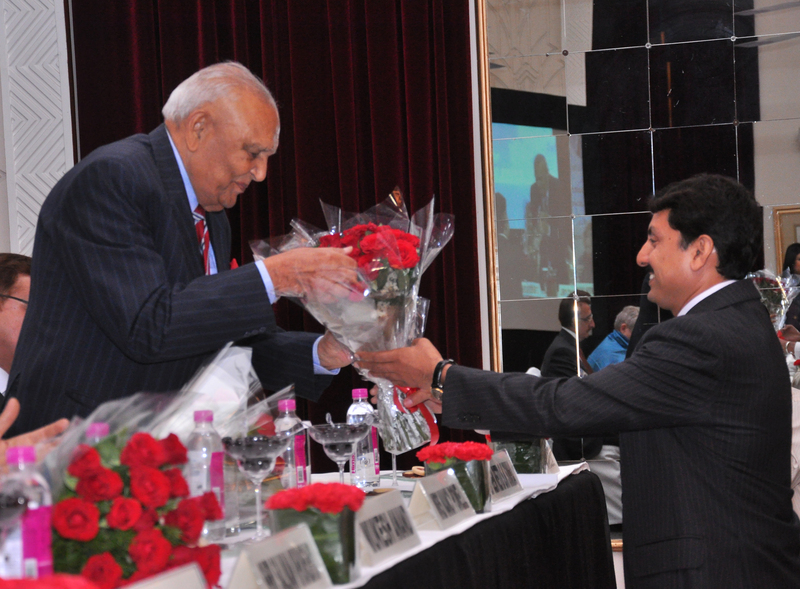 Tarlochan Singh, Former Head of Minority Commission and member of parliament, General SK Sinha, Former Vice Chief of the Indian Army and Governor J&K, Shri Vivek Tankha, Former Additional Solicitor General to the Govt. 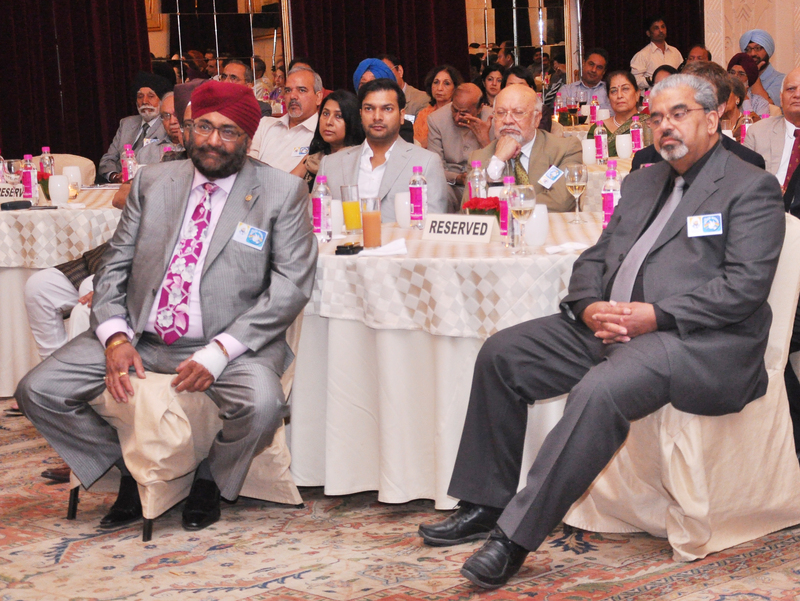 of India, Vice Chief of Indian Navy, Admiral Robin Dhowan, Mr Jassi Khangura is former MLA from Ludhiana and MLA from Punjab and Mr Surinder Singla former Finance Minister, Punjab. 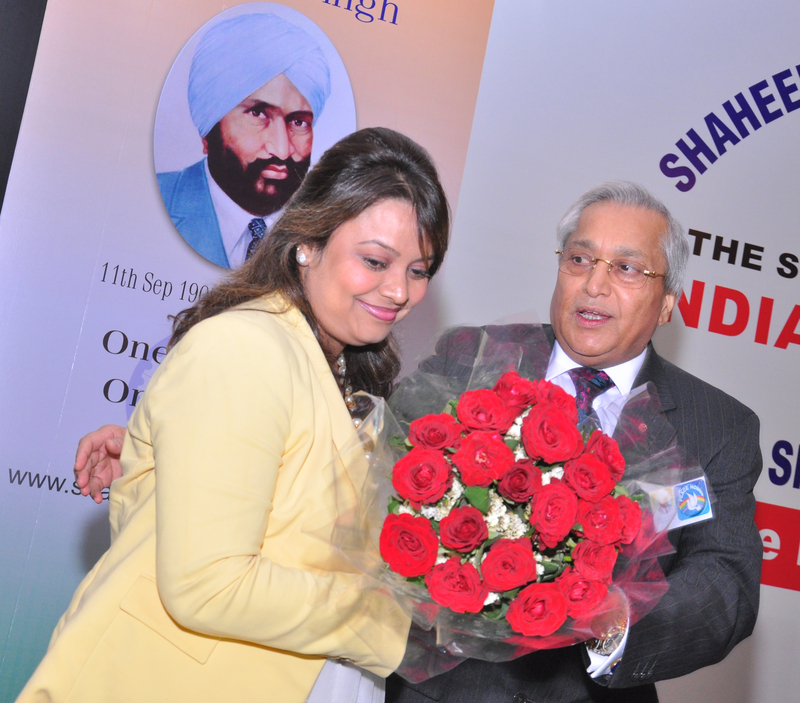 Mr Mukesh Anand, Chairman of the Foundation, paid tribute to Sardar Shaheed Nanak Singh Ji (www.shaheednanaksingh.com) who was born on 11th September 1903 in Kuntrila, Rawalpindi District, now in Pakistan. He was a great freedom fighter who dedicated his entire life for freedom, communal harmony and the unity of India. He strongly opposed the partition of India as he could foresee the consequences of breaking up India on the basis of religion. He delivered his last public speech on 4th March 1947 at Kup Mandi, Multan City, Pakistan along with Dr Saifudin Kichlew, President of the Punjab Congress. Sadly he fell the very next day, a martyr at the young age of 43, while trying to save 600 students of D.A.V School, Multan who were caught up in communal riots. He left behind a young widow of 35 and 8 young children, the oldest being 14 years old. 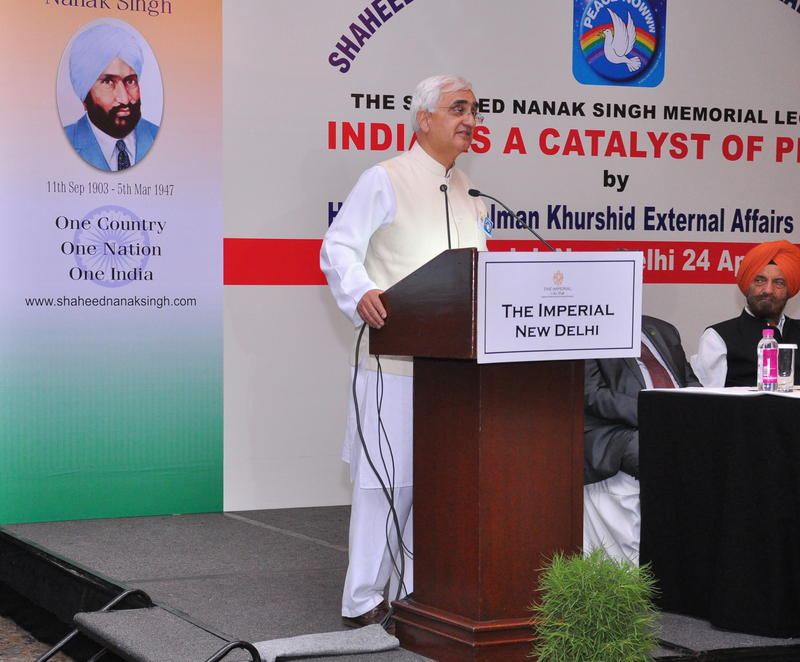 Whilst delivering the Shaheed Nanak Singh Memorial lecture, Shri Salman Khurshid paid tribute to a great son of India who laid down his life for the principal of upholding India’s unity. 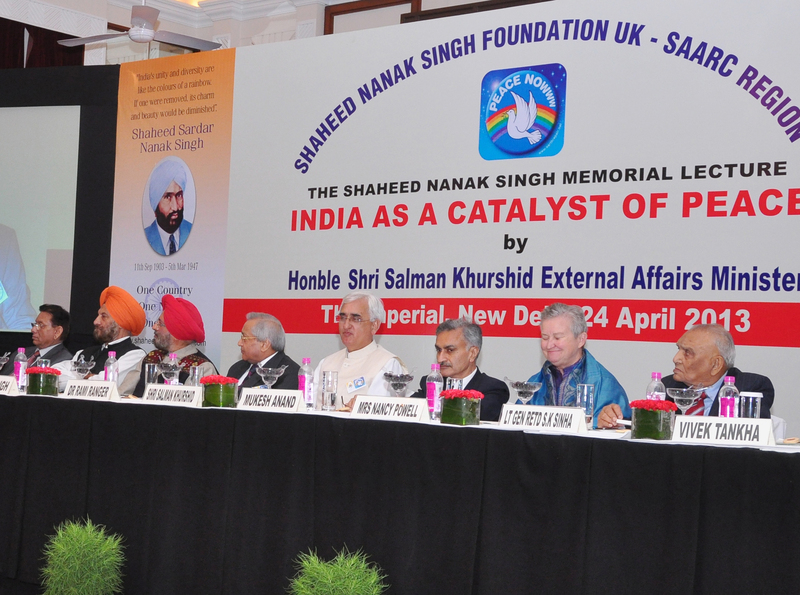 He was particularly pleased to see that the Shaheed’s message was being carried forward by his Foundation. 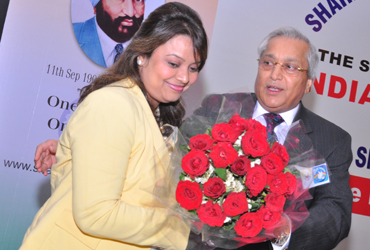 He praised the Shaheed’s youngest son Dr. Rami Ranger MBE for living up to the ideals of his illustrious father. 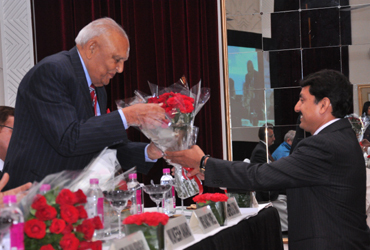 In his impressive and memorable lecture, the Hon. 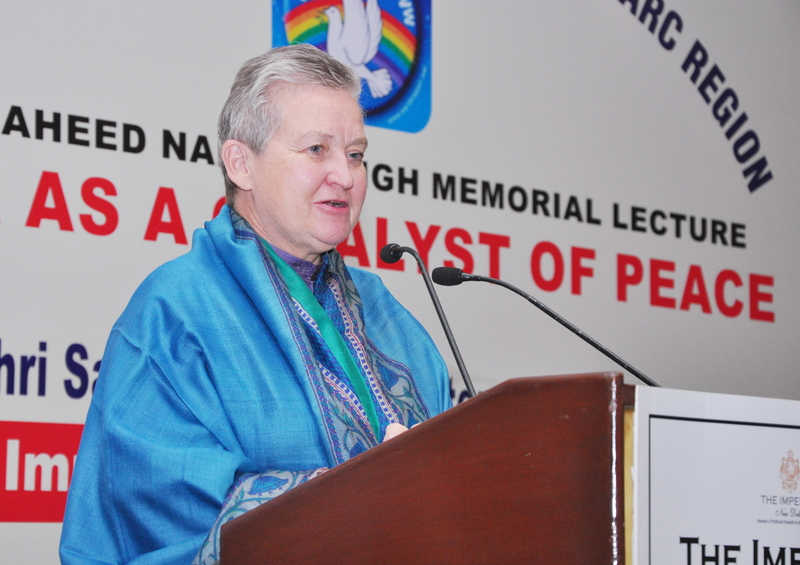 Minister spoke about the necessity for peace in the world in order to progress. 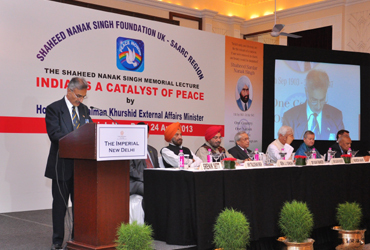 He said India has always been a catalyst for peace. 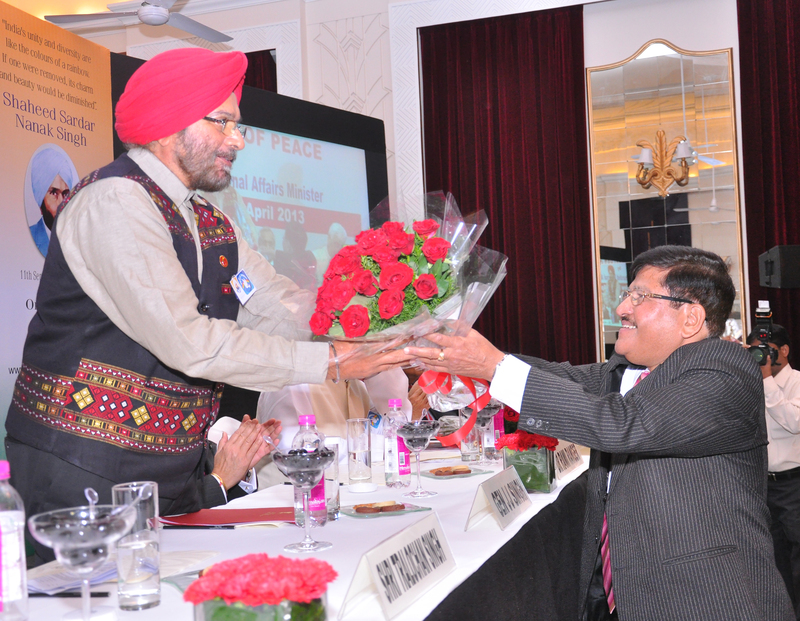 India’s foreign policy was to foster a good relationship with its neighbours for the greater good of mankind. 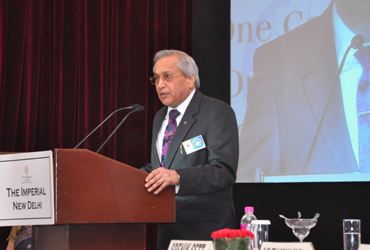 He said India was often accused of being weak in her resolve. However, he said it was easy to become violent but very difficult to be peaceful and India would never opt for the easy option. H.E. Gen JJ Singh the former Army Chief and now Governor of Arunachal also paid tribute to a man whose love for his motherland proved greater than self or his family. The Shaheed’s message of unity is as important today as the day he fell while saving innocent lives. 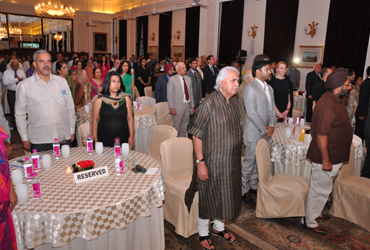 He paid tribute to India’s rich civilization and felt proud to be an Indian. 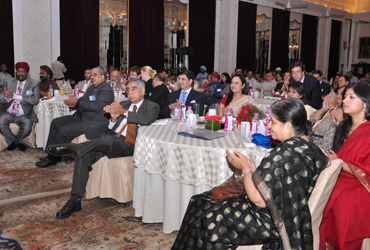 He said that whilst we promote peace, we must also be prepared to defend ourselves. With the absence of strength, our peace could be threatened. H.E. 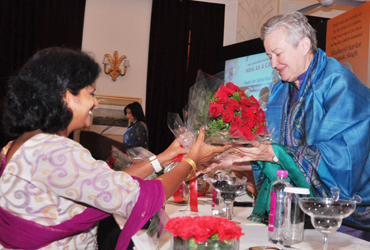 US Ambassador Ms Nancy J Powell thanked the organisers for inviting her to this important event. 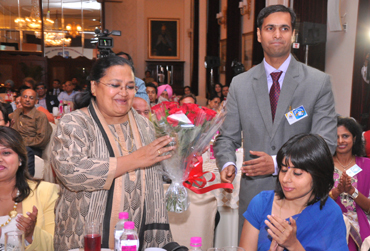 She praised India for being a land of ideas and that peace in the world is yet another good idea. 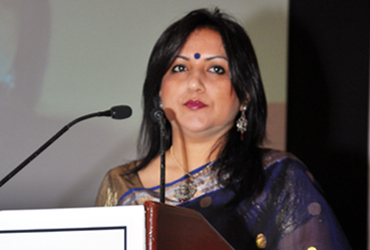 Her own country, America, valued India’s friendship in this endeavour. 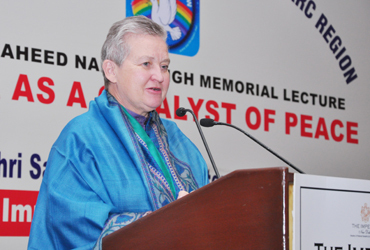 The cooperation of India and the US would not only further peace in the region but also in the world. 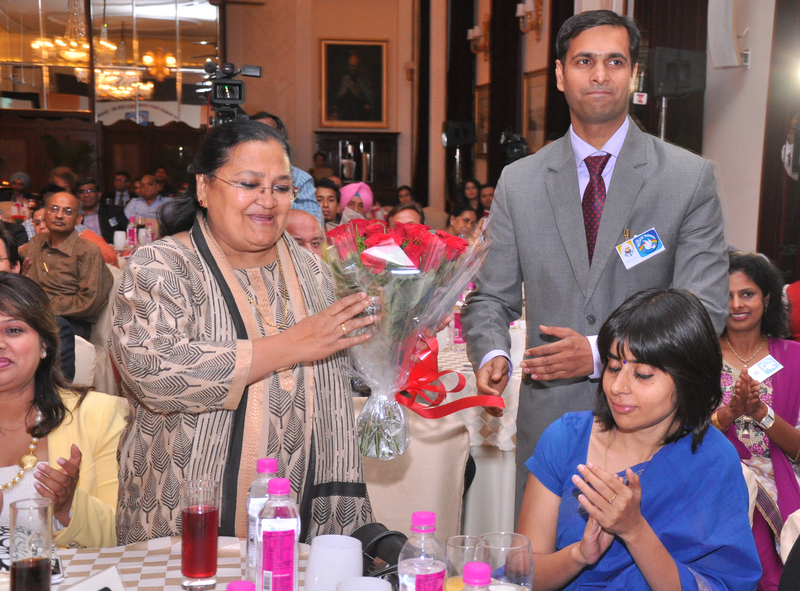 She was looking forward to working together for peace and prosperity in the world. 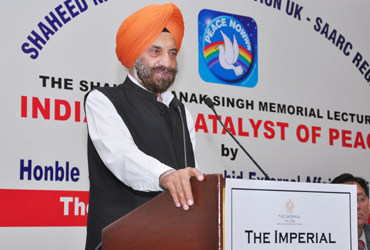 Mr Tarlochan Singh, former Head of the Minority Commission and member of parliament also paid tribute to the Shaheed Nanak Singh who tried desperately to stop the breakup of India. Just before his death, he called a peace conference and made a case to remain united. He further pleaded that a temporary gain for a few would become a permanent loss to the nation. 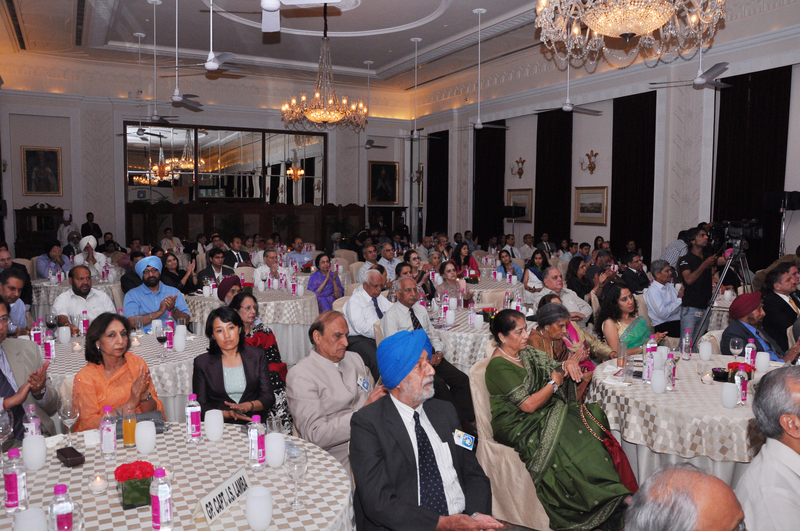 He thanked Dr. Rami Ranger for coming each year to pay tribute to his father and to remind us in India of the need for unity between religions, races and castes. 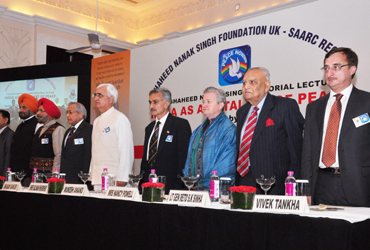 Mr Vivek Tankha the former Additional Solicitor General of India said it was not often that he got the opportunity to speak about a real patriot. 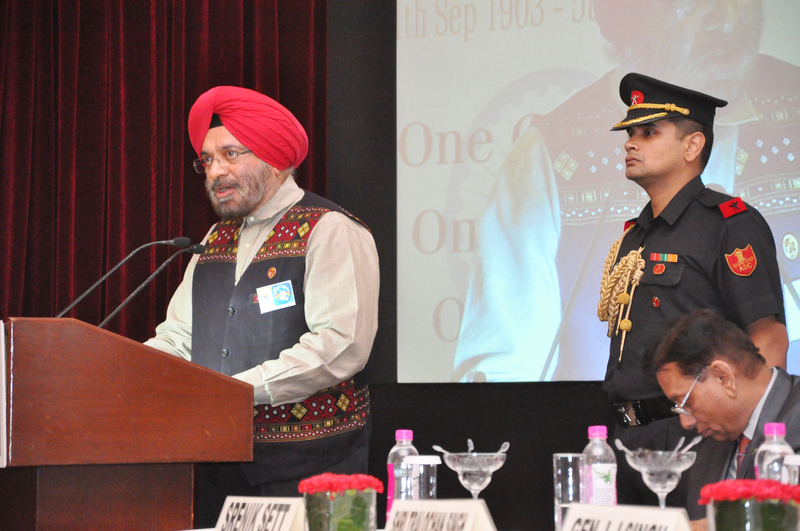 He spoke about a family who for generations had dreamt and thought for Mother India, never flinched to offer the supreme sacrifice yet had never claimed credits or brownie points for what they did. He saluted such personalities and said that good people had to meet to ensure the bad did not takeover. He said we had no choice but to be together for the good of our country. He ended by stating that he was proud to be a part of this mission. 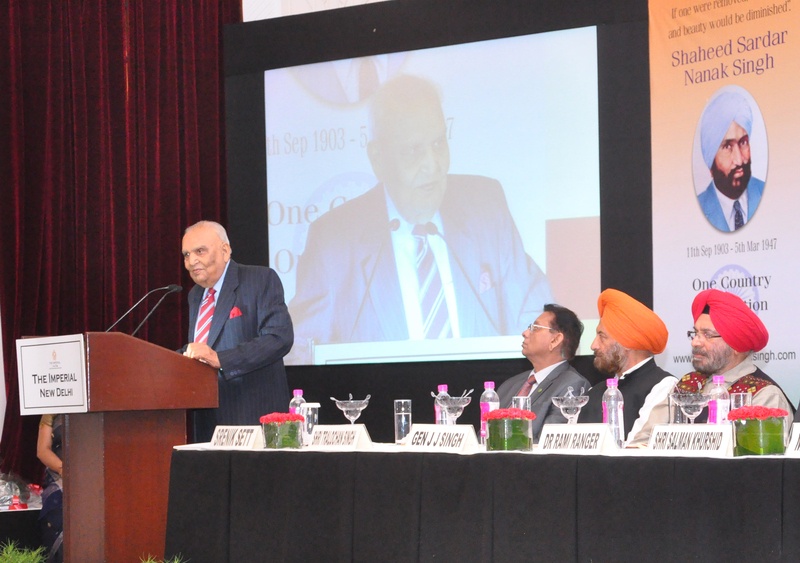 Gen SK Sinha, former Vice Chief of Indian Army and Governor of J&K, said he had lived through the holocaust in 1947 as a young Major. He saw suffering on an unparalled scale. Over a million were killed and many millions uprooted and became refugees in a land where they were born. 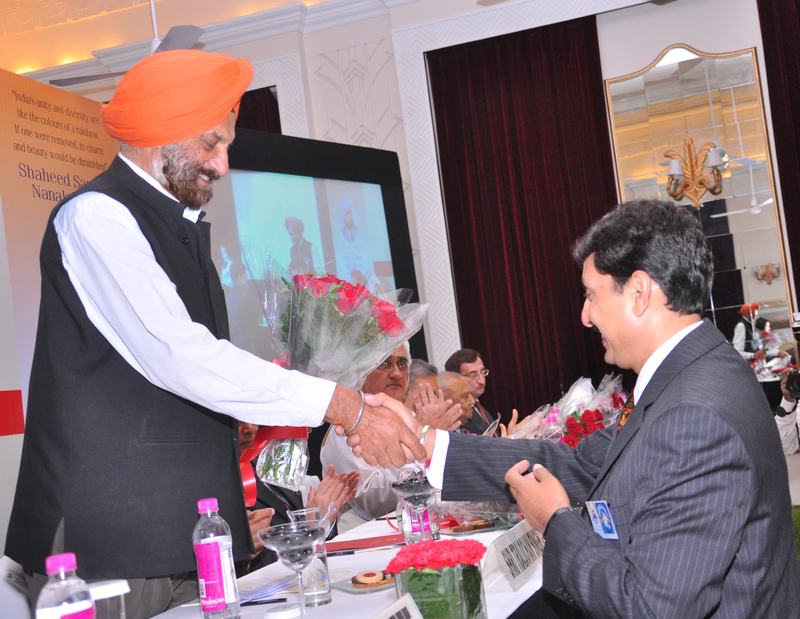 He fondly recalled the Shaheed Nanak Singh Lecture he delivered himself at the Punjabi University, Patiala a few years back. He said during this time he came to know more about the Shaheed and his son Dr Rami Ranger and became inspired by their lives. 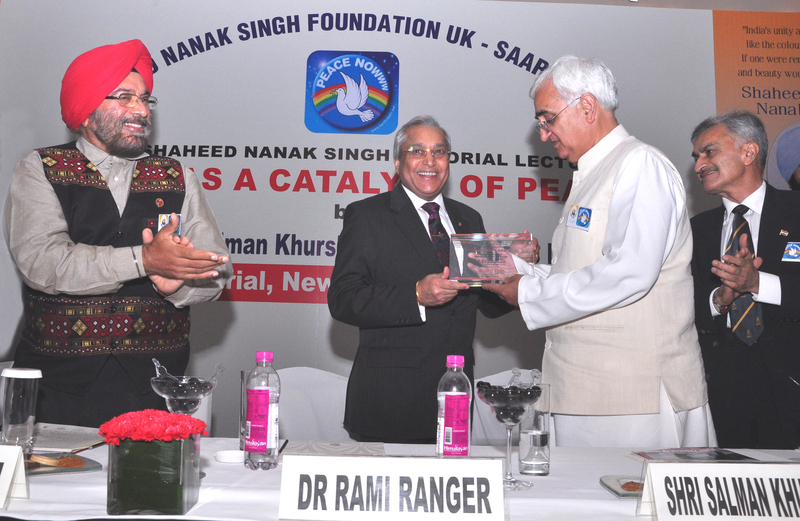 Dr. Rami Ranger, the youngest son of Shaheed Nanak Singh, summed up his father’s vision and foresight in an evocative vote of thanks. 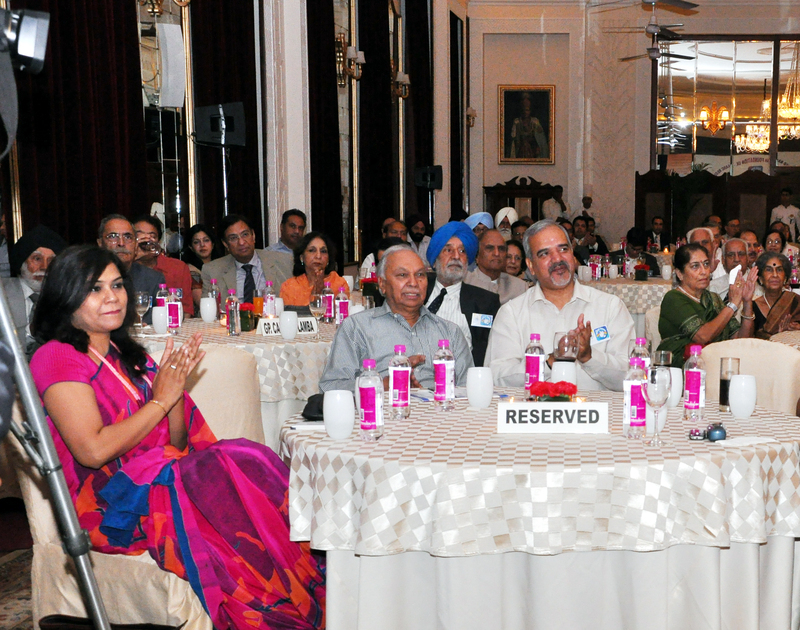 He thanked all the speakers, the trustees (Gp Capt DV Arora VSM & CA Alok Goel ) and Ms Shivani Mohan for conducting the proceedings most effectively and eloquently. He pointed out that India’s soul was its secular and democratic constitution where equality for all was enshrined regardless of race, religion or gender. 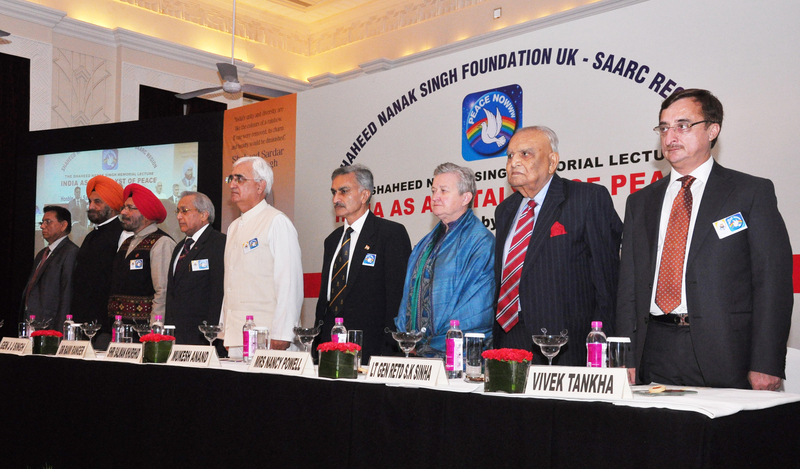 Each year with the Shaheed Nanak Singh Memorial Lecture we reminded ourselves of the sacrifices people had paid for our freedom. He emphasized that it was imperative that we be proactive in pursuing peace and that if we did nothing, then we would achieve nothing and as a result we must promote and celebrate unity. 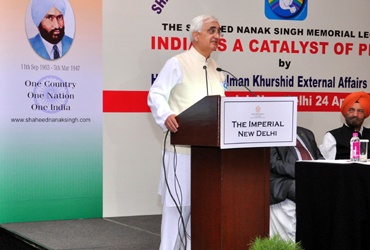 He concluded by saying that if Shaheed Nanak’s Singh’s legacy could unite India, then his father would not have died in vain and together we could make India great. 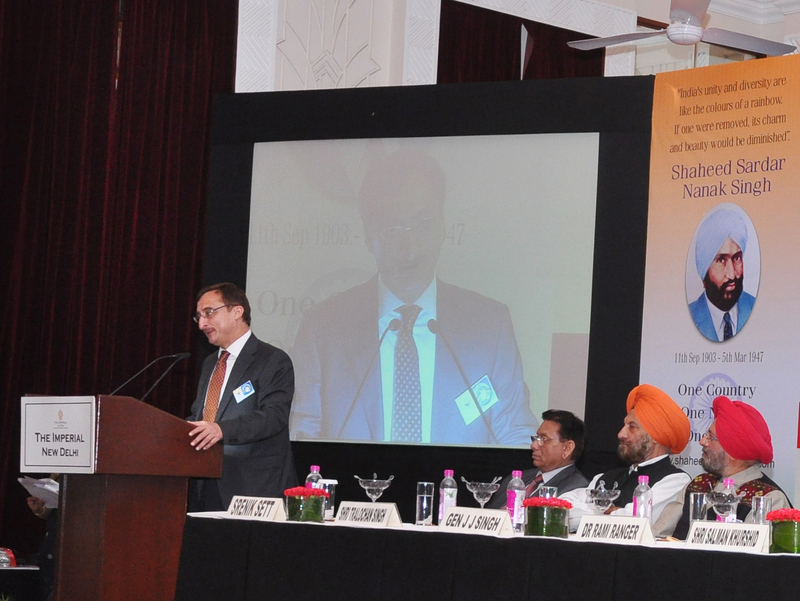 Dr Rami Ranger, on behalf of the Shaheed Nanak Singh Foundation, presented the Hon. Minister Shri Salman Khurshid ji with the “Soul of India” Award for his Services to Mother India and then to complete the occasion a sumptuous dinner was served to the guests. Please click below to view the video presentation. 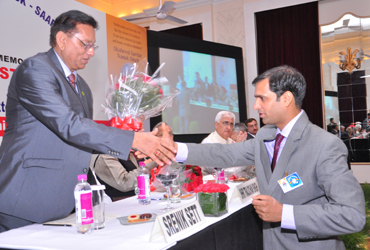 Please click on the photographs to download high resolution images. 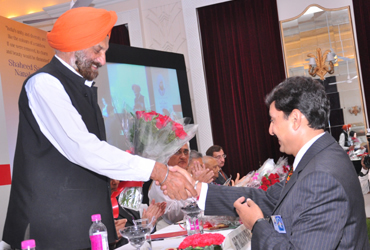 Minister Tarlochan Singh addressing the guests. 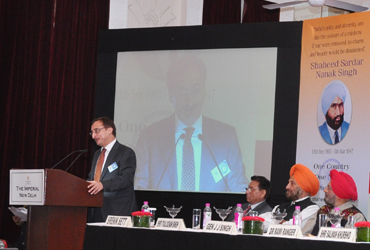 Mr Vivek Tankha addressing the guests. 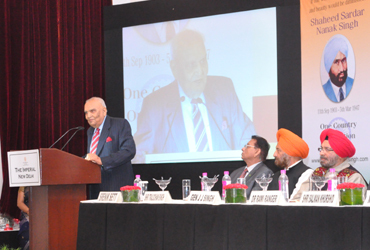 Gen. SK Sinha addressing the guests. 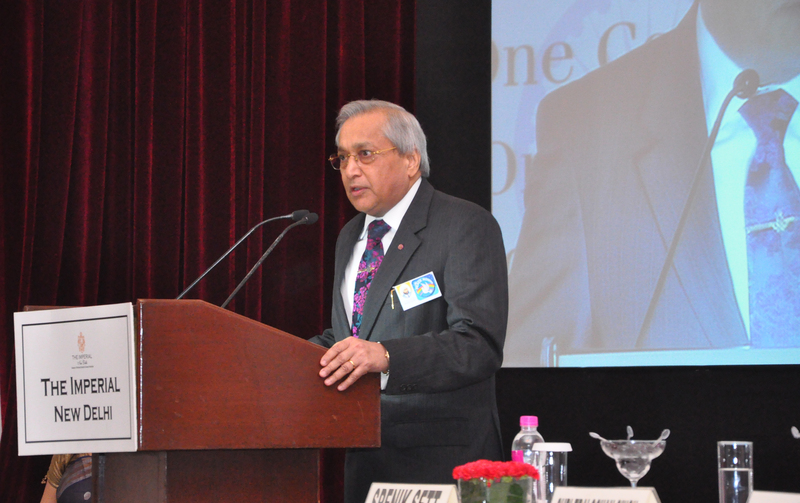 Dr. Rami Ranger, MBE giving his vote of thanks.